Today is my first day back to work since May. Having this summer off has been nice, but I am ready for a new school year to start. This peplum top was purchased a few weeks ago. It is the perfect summery top that can be dress up or down. Your outfit is adorable and perfect for going back to school. I taught for 26 years and I'll have to say that even though I'm no longer in the classroom, I miss it a tiny bit this time of year. This top is beautiful! 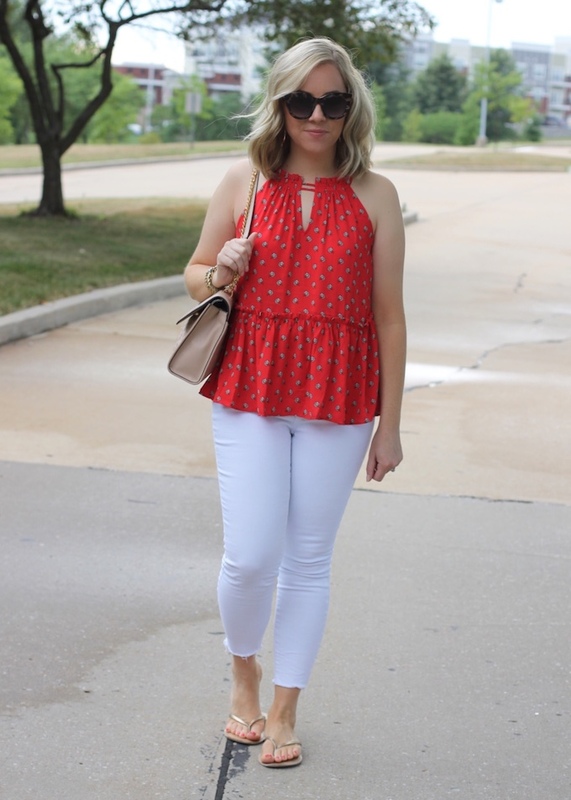 I love the combo of red and white, beautiful look! Wow, you go back to school so early! 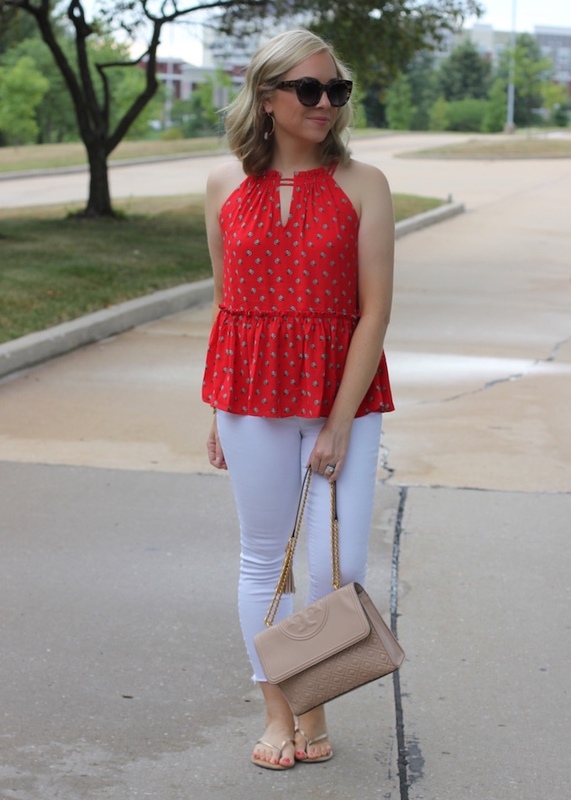 Love the red peplum, it's so cute! 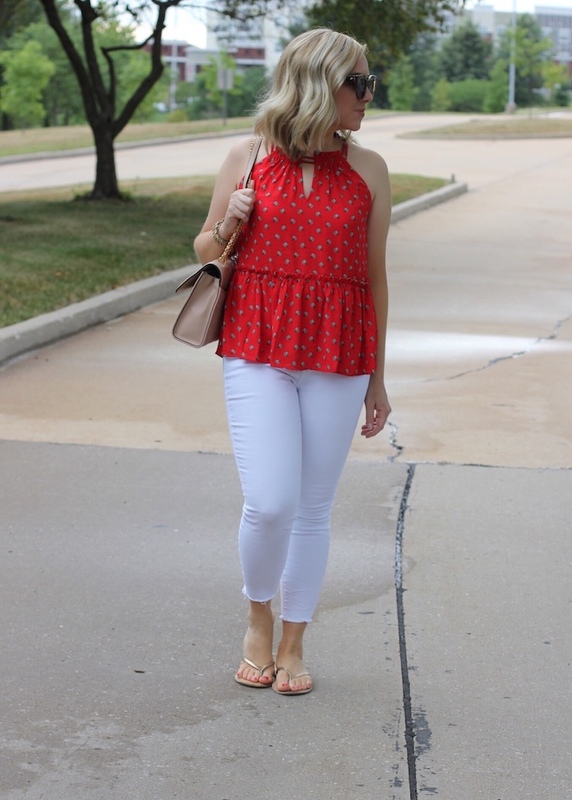 Red top and white denim pants really makes a chic and lovely combination! Love this look dear, you look so pretty on red!